Isco is out of favour at Real Madrid and Rivaldo would be pleased to see him cross the divide to join Barcelona. Former Barcelona star Rivaldo would like to see Real Madrid outcast Isco make a controversial move to the Santiago Bernabeu. 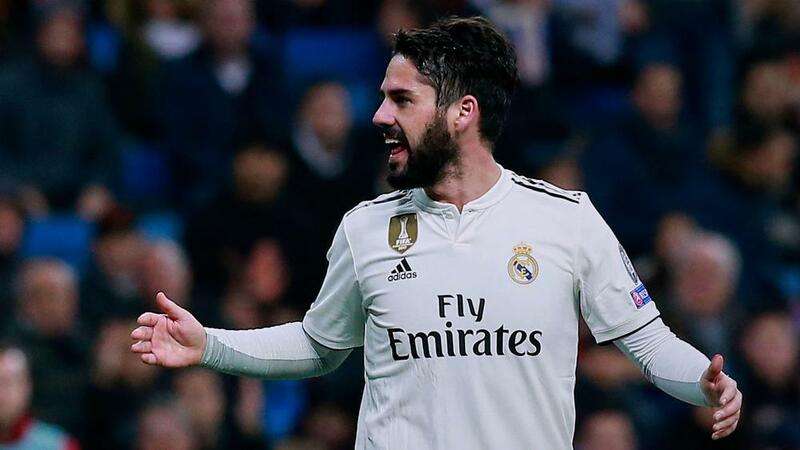 Isco has found himself down the pecking order under Santiago Solari following his appointment as Julen Lopetegui's replacement. He has made only five LaLiga starts this season and reacted angrily after being whistled by home fans at the Santiago Bernabeu for missing a chance in Wednesday's shock 3-0 Champions League defeat to CSKA Moscow. Madrid are reportedly now prepared to part with the attacking midfielder, and Rivaldo feels Barca would be wise to try do business with their arch rivals. "If you ask me if I would like to see Isco in Barcelona, I would say yes," Rivaldo told Betfair. "He is an excellent player and I think both the club and the player could do with it. "Anyway, it is a complicated proposal, it is difficult to imagine two great rivals negotiating the transfer of a player." Of the incident with the Madrid fans, Rivaldo added: "He was on the radar of the fans. You have to look forward and forget about this whole situation." Madrid have endured a trying season having sold Cristiano Ronaldo to Juventus, and Rivaldo sees adding a striker as a must for the club. "Real Madrid clearly need a striker, a player capable of scoring regularly," he said. "After the departure of Ronaldo the team lost offensive power and now is the time to strengthen the squad, before the real start of the Champions League."